Organizers Reinaldo Corrêa Costa and Cecilia Verônica Nunez. Manaus: INPA Publishing, 2017. 147 p. : il. color. ISBN: 978-85-211-0169-7 1. Productive chains. 2. Biodiversity. 3. Synergistic Potentialities. This material is one of the results generated by the research carried out through the funding of several CNPq and CAPES research edicts, in which the main logic is the search for productive chains and the use of biodiversity, whose production base is the peasantry. And where land ownership and use, whether in agrarian reform settlement or Resex, are components of the multiple ways in which productive chains, peasantry and biodiversity, or more broadly, market, social subjects and nature, connect. The works reflect historical and socioeconomic moments and conjunctures that involve leaderships (unions, associations and government institutions such as Resex, ICMBIO and others) that involve the process of reproduction of the Amazonian peasantry with productive chains derived from biodiversity, a process of concreteness, of originality and frequency in debates (economic, political and cultural) and such peasantry can come with the most varied cultural or institutional names, or come from economic schools: caboclo, riparian, farmer, family farmer, small farmer, fisherman, artisanal fisherman , among many others. This book brings together the results of the mini-projects developed by the participants in the Field Ecology Course of the Postgraduate Program in Ecology and Natural Resource Management, a compulsory course of the Master course held in 2012. In total, 12 manuscripts, one of which was excluded from the work, because it was published in full in a scientific journal: - Impact of silting on fish diversity in igarapés of a vegetation complex of campinarana in the northwest of Acre, Brazil, authored by Ramalho , WP, Susçuarana, MS, Lopez-Rojas, JJ, Rocha, LV, Keppeler, EC and Vieira, LJS, published in Neotropical Biology and Conservation 9 (2): 105-114, 2014. Another work, entitled -Three new records of Pristimantis orcus, written by López-Rojas, JJ, Ramalho, WP, Susçuarana, MS and Souza (Amphibian, Anura, Strabomantidae) for Brazil and the commnent of the advertisement , M. B., published in Check List 9 (6): 1548- 1551, 2013, is the fruit of part of one of the manuscripts that we present in this work. This book is the compilation of 10 years of Ornithology data in the state of Acre (2005 - 2015). This work is not a field guide for the identification of birds, it was not enough to describe the morphology of the species. The proposal is to group, in a single volume, all the information obtained on the birds of Acre. With the publication of this volume, Acre will have a reference work for consultation on ornithological data in its territory. This book may be useful not only to academia (from primary to higher level), but may also be used by the wider community. Managers of Conservation Units, public agencies at all levels can also use the information to compile technical reports, thematic documents, as well as know the extent of knowledge about birds in a particular area of interest within the State. Review: This study brings new information on fish populations in an area unexplored by science, Ecological Cuniã Station, a category of full protection unit, which is admitted only the indirect use of its natural resources, for scientific research and visitation for educational purposes. Located in the city of Porto Velho, Rondonia, ESEC Cuniã has several streams that drain by rainforest and cerrado manchasde where icitiofauna is heavily dependent on allochthonous imcorporado organic material of marginal vegetation. Of the more than 800 species recorded in the book Fish Rio Madeira (Queiroz et al., 2013), 13 occurred only in streams of ESEC Cuniã. 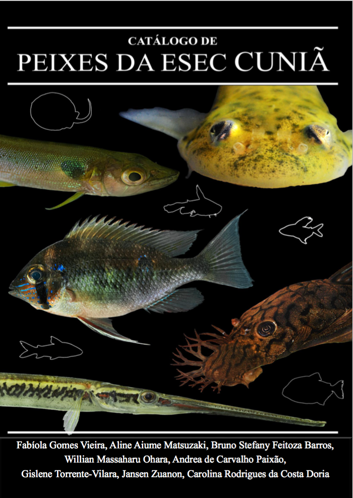 This catalog brings together the results of research on small fish fauna of the watercourses of the ESEC of Cuniã, and features photos of the species, identification keys, and ecological information about the most abundant species. The catalog is an important contribution to science and the knowledge of the diversity of fish in the area. Furthermore, it should be an important tool for biodiversity conservation, facilitating future studies of these species and serving as a guide to ichthyologists and other professionals working in protected areas. - Noemia Kazue Ishikawa, Takakazu Yumoto e William E. Magnusson. Illustrations: Hadna Abreu. 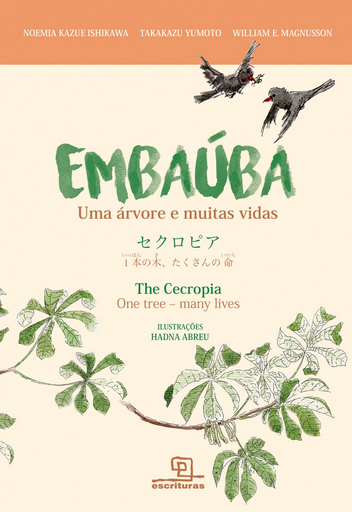 Grupo Editorial Escrituras, 2016, 48 p.
This trilingual (Portuguese, English and Japanese) brings a story full of memories of a special tree, the embaúba. The book is based on a true story that took place in front of the laboratory Noemia Ishikawa researcher and introduces children to the wonders of biology and interactions between plants, animals and fungi. - Ariane Luna Peixoto, José Roberto Pujol Luz amd Marcia Aparecida de Brito. 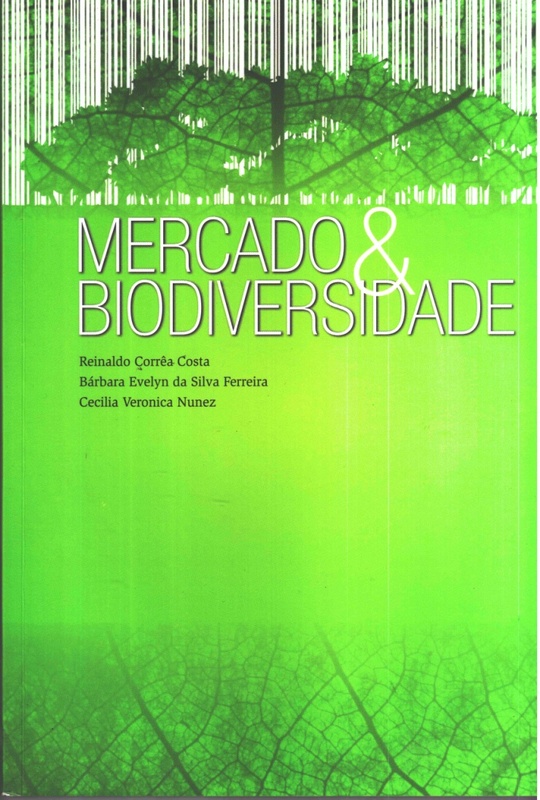 Brasília: MCTIC, CNPq, PPBio, 2016, 196 p., ISBN 978-85-63100-08-5. 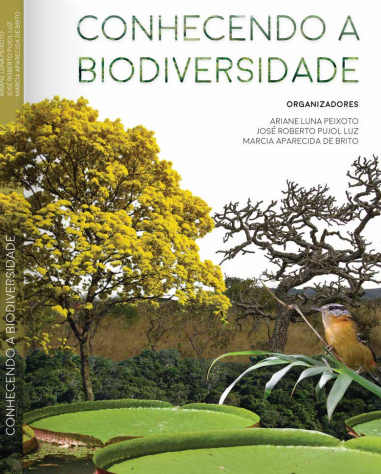 This book seeks to engage and inform more people about Brazilian biodiversity and is the result the result of an intellectual project involving scientists and teams from the Research Program on Biodiversity (PPBio) and the Amazon Environmental Modeling Network (GEOMA). 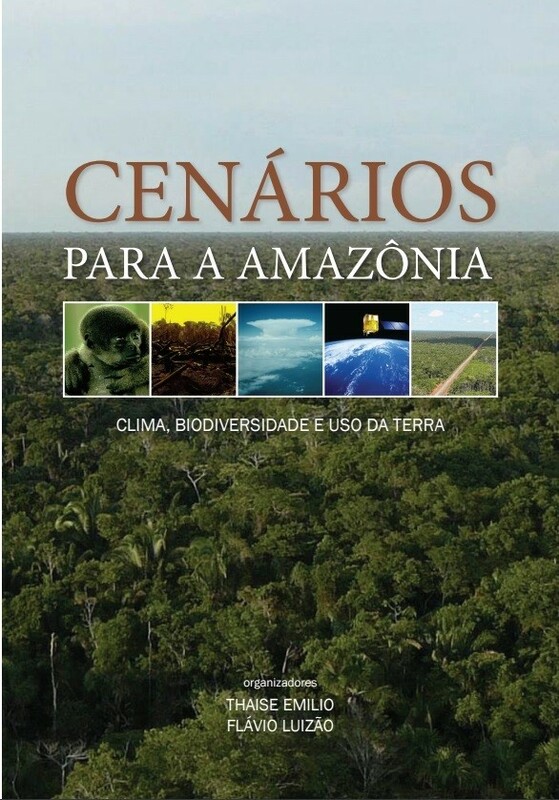 This is a book about Brazil that addresses past and present experiences in the six biomes - Pampas, Atlantic Forest, Cerrado, Pantanal, Caatinga and Amazon - its biodiversity and the natural or anthopogenic transformations to the landscape and the Brazilian territories that have gained new identities during centuries of human occupation. - Reinaldo Corrêa Costa, Bárbara Evelyn da Silva Ferreira e Cecília Veronica Nunez. Manaus: Published by INPA 2015.  101 p.:il, color. ISBN: 987-85-211-0155-0. The bioproducts market (mechandise produced from the region's biodiversity) in Manaus has expanded in the last ten years. The bioproducts studied in this work are the herbal remedies and phytocosmetics, which are sold the most in Manaus and are produced from andiroba, copaiba and cupuaçu. The main objective of this study is to analyze the relationship between society and nature through the biodiversity of the Amazon market by identifying which are the regions most linked to the biodiversity market. The theoretical and methodological basis of our approach to analyzing this market are socio-geospacial demographics and the sources of the raw materials. Production begins in the field, with the collection of raw materials by local manual labor so, to understand the bioproducts market it is important to understand the relationship between society and nature and how it fits together. There is a lot of speculation about the economic potential of the biodiversity of the region however, the market for bioproducts in Manaus is not yet consolidated. - Domingos de Jesus Rodrigues, Janaina da Costa Noronha, Vanessa França Vindica, Flávia Rodrigues Barbosa. 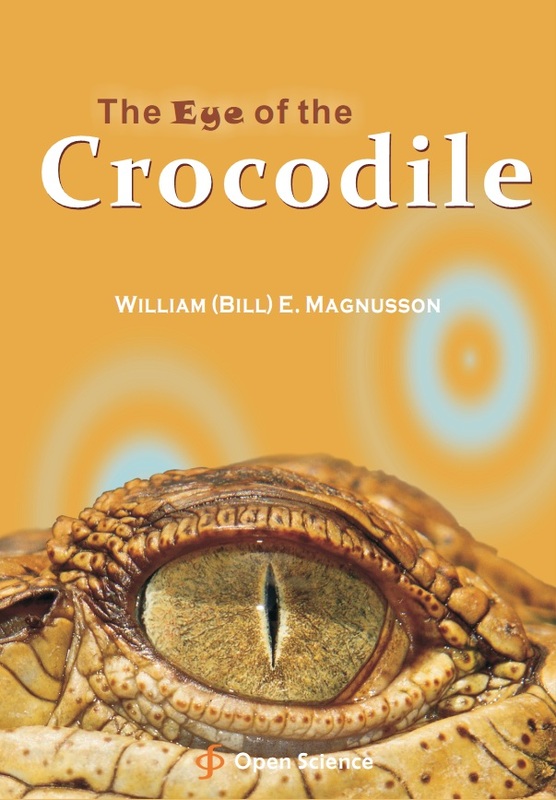 This book brings together studies involving various biological groups such as frogs, primates, fish, invertebrates, plants and fungi. Richly illustrated and written in easy to understand language, the book both investigates the perception of biodiversity to a wide public. 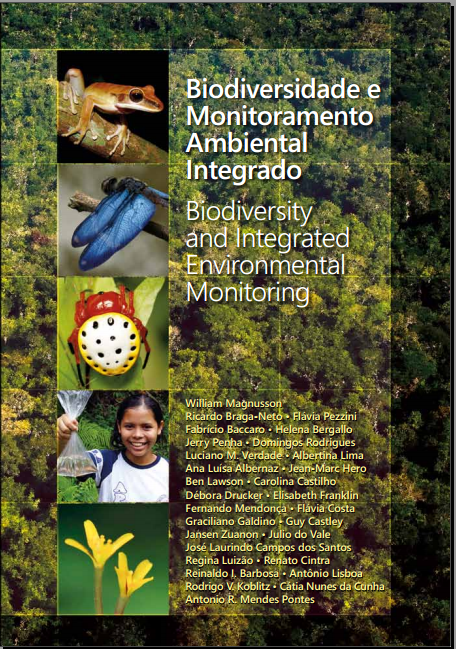 It provides a reference for researchers and students on the use of the RAPELD system for the study and monitoring of biodiversity. The book addresses the author's experience in his career as a researcher. In a relaxed way the author seeks to place the reader in the research universe. The text is intended for both the general public - students, tourists and lovers of nature - as teachers and scientific experts in biology. - Renato Cintra. 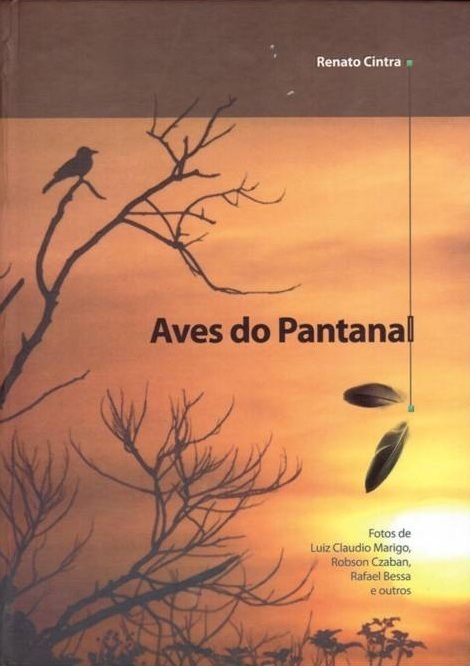 Aves do Pantanal, 376pp. Editora: INPA. ISBN: 978-85-211-0110-9. The work brings together 523 species of birds including about 350 that also occur in the Amazon and 450 in the Cerrado. The book presents the species so illustrated in color, with scientific name, in English and Portuguese (popular). Contains callouts on the characteristics of each species - morphology and plumage, size, weight, habitat, diet, sociability, behavior, and status, whether resident or migrant, nest type and geographical distribution, including in other regions of Brazil and in the Americas. 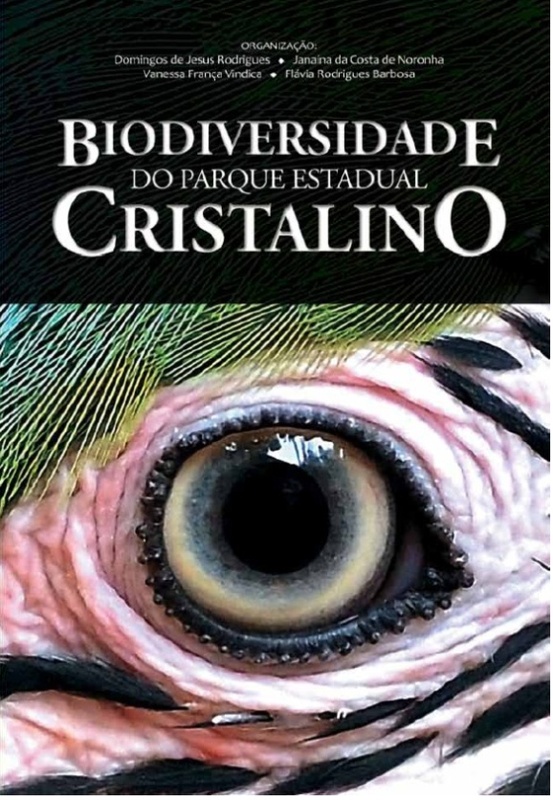 By having a clear text and without technical terms, the book is directed both to the general public - students, tourists and lovers of nature - as teachers and scientific experts in biology and ecology of birds. The Project "Scenarios for the Amazon. Biodiversity, Land Use and Climate. ", is designed as a means to integrate the actions and skills of three of the largest Ministry of Science, Technology and Innovation research programs in the Amazon (LBA Program large Scale Biosphere / atmosphere in the Amazon), GEOMA (Amazon Environmental Modeling Network) and PPBio (Biodiversity Research Program). the training of qualified human resources for carrying out programs. The guiding principles of this project were; ways to strengthen the scientific research infrastructure, the expansion of current activities, projects and training in collaboration with other regional institutional programs and the consolidation of a multidisciplinary database to support research activities, monitoring and regional development. William Magnusson, Ricardo Braga-Neto, Flávia Pezzini, Fabrício Baccaro, Helena Bergallo, Jerry Penha, Domingos Rodrigues, Luciano M. Verdade, Albertina Lima, Ana Luísa Albernaz, Jean-Marc Hero, Ben Lawson, Carolina Castilh, Débora Drucker, Elisabeth Franklin, Fernando Mendonça, Flávia Costa, Graciliano Galdino, Guy Castley, Jansen Zuanon, Julio do Vale, José Laurindo Campos dos Santos, Regina Luizão, Renato Cintra, Reinaldo I. Barbosa, Antônio Lisboa, Rodrigo V. Koblitz, Cátia Nunes da Cunha, Antonio R. Mendes Ponte. Biodiversidade e Monitoramento Ambiental Integrado. 1. ed. Manaus: Áttema Editorial :: Assessoria e Design, 2013. 352p . The book portrays the experience of over a decade in the implementation of RAPELD system in the Brazilian Amazon. The biodiversity monitoring is not merely an academic endeavor. Although the representation of biodiversity, the spatial structure and integration with environmental information is essential topics, it is essential to think of the political context in which decisions and how to incorporate partners will be taken, as researchers have a limited action capacity. Finally, it is essential planning data management to increase the use and ensure its longevity. The RAPELD addresses the spatial standardization that is crucial to answer most of the questions raised by decision makers, allowing flexibility and innovation. The first major challenge should be to integrate the different types of monitoring! An effective system needs to integrate all aspects simultaneously across many different scales and that advances in information technology are not sufficient to achieve this alone. Science has become extremely linear and research has become focused on normative studies with inputs and outputs restricted, so we have to relearn how to think laterally. Nearctic Migratory Bird Conservation in Brazil. - Renata Valente et al., organizadores – Belém: Conservação Internacional, 2011. 400 p. iSBN: 978-85-98830-15-5. The main objective of the Conservation of Neotropical Migratory Birds (USA) Law of is to perpetuate healthy populations of neotropical migratory birds. However, this goal is impossible without proper knowledge about the location of the important areas for the survival of these birds and the threats that these places suffer and major conservation actions necessary to preserve them. An analysis of migratory birds in all of Brazil did not yet exist when the international conservation and its partners requested. 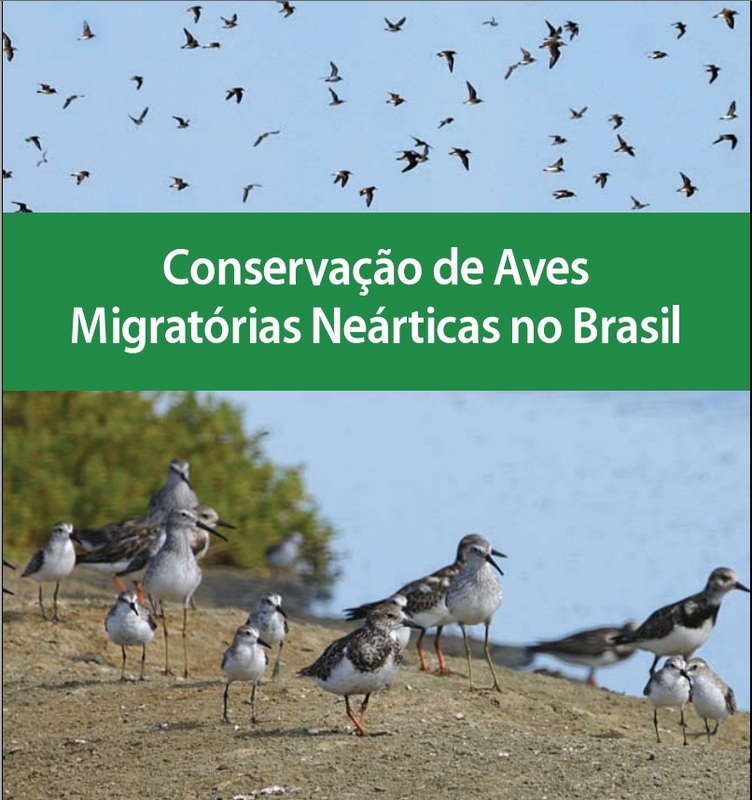 Now we can count on the first comprehensive analysis in Brazil highlighting the Nearctic migratory birds. This work is the first step to help guide conservation efforts of more than 80 species of Nearctic migratory birds that depend on Brazilian habitats. Discovering the southern Amazon Biodiversity of St. Nicholas Farm. - Domingos de Jesus Rodrigues, Thiago Junqueira Izzo e Leandro Dênis Battirola. Cuiabá: Pau e Prosa Comunicação, 2011. v. 1. 301p . ISBN 9788564275003. 1. ed. Review: the book began to be planned in 2007 by conducting the discipline Master's Program Field Ecology in Ecology and Conservation of Biodiversity UFMT. The realization of this discipline brought together a group of researchers to study biodiversity in this region, mainly due to the large degree of threat of biodiversity, to be inserted in the region called "Arc of Deforestation". Since then, several studies have been developed, and in 2009 with the logistical support of ONF-Brazil, Administrator of Finance and CNPq installed the fourth module of the Research Program in Biodiversity - PPBio in Mato Grosso, enabling better mapping and inventory of species and taxonomic groups studied. The book features 13 chapters, where nine describe the inventoried fauna, presented photos and species listing. Taxonomic keys and compared the diversity of St. Nicholas farm with other Amazonian localities also appear. Also, there is an introductory chapter that emphasizes the reforestation project and carbon sequestration, carbon sink Peugeot / ONF-Brazil. Two other chapters involve ecological relationships between ants and reforestation, and finally a chapter discussing the anti-predatory tactics of Jeju fish. This book is the first to address broadly the biodiversity of the Southern Amazon. 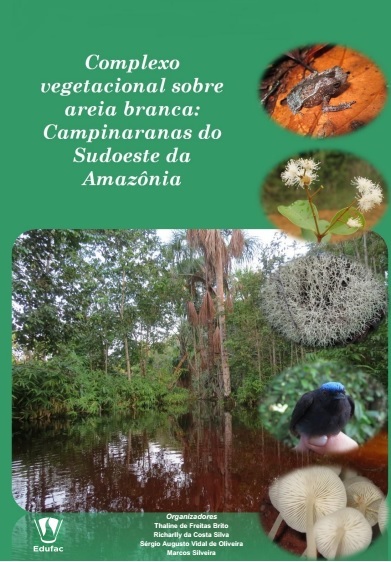 This information can help in studies of bioprospecting and conservation of Mato Grosso fauna, as well as assist local public schools in the practice of environmental education on the knowledge of biodiversity. Specifically, this book involved fourteen doctors researchers from the Federal University of Mato Grosso, National Institute of Amazonian Research and Butantan Institute and more than 18 undergraduate and graduate who helped in field collections. Data collection earned the group of researchers two new record of frogs, one for Brazil and another for Mato Grosso, six new bird records for Mato Grosso, as well as several new species description process, as several beetles, a of harvestmen, a small mammal. This information will enable the State (Secretary of Environment - SEMA) and researchers monitor the long-term effects of environmental and climate change on local fauna and thus define strategies for the conservation of these species. Finally, help define new areas of protection in the Mato Grosso Amazon. 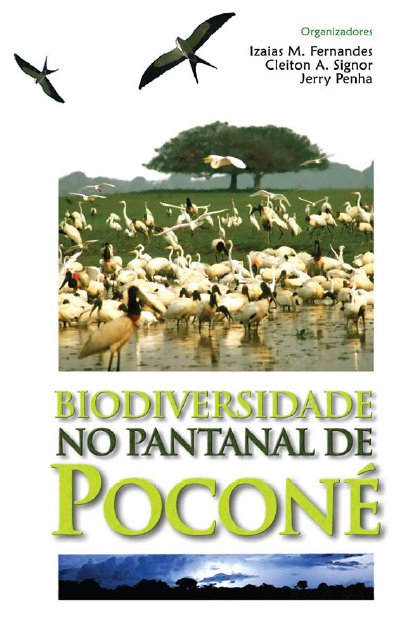 Biodiversity in the Pantanal of Poconé. - Izaias M. Fernandes, Cleiton A. Signor e Jerry Penha. Áttema Design Editorial, Manaus, 2010. 199 p.
The book is a compilation of studies in Pirizal grid between 2005 and 2009 and brings together for the first time to the same area of the Pantanal information on the density of plant species, soil arthropods, amphibians (frogs and toads) small mammals (rodents, marsupials and bats), birds, fish and aquatic invertebrates. 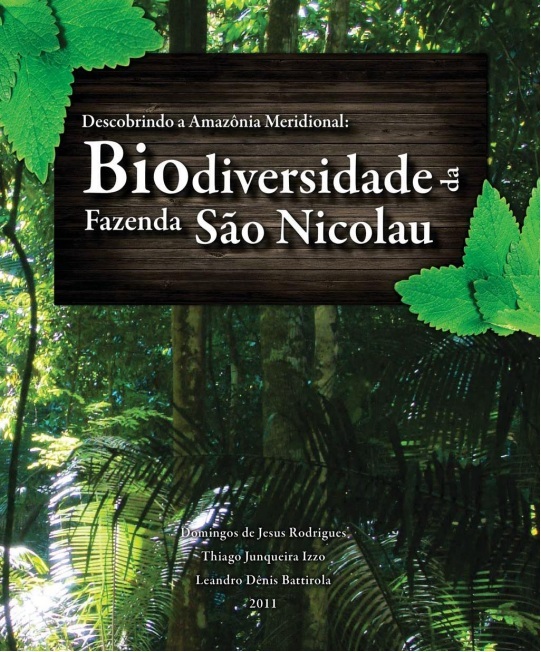 Written in a language intended for non-specialists, the book aims to provide good quality information to support decision making by society as well as being a reference for researchers and students on the use of the grid system for biodiversity studies, one of first to be installed outside the Amazon. Reserva Ducke - The Amazonian biodiversity through a grid. 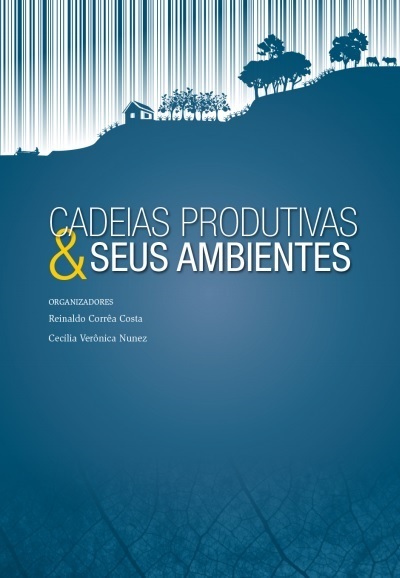 Review: Although the deforestation caused by urban expansion Manaus is isolating the RFAD other forests, the proximity of the city favored the development of a lot of scientific studies, some of which were synthesized in this volume. The importance of these studies for the Amazon is huge, because the experience was instrumental in planning research strategies throughout Brazil, within the context of the Biodiversity Research Program (PPBio).